Drexel University received a A.
U.S. News & World Report's ranking of 57 out of 268 of National Universities High School Counselor Rankings was a major contributor to this grade. One of the fastest growing universities on the East Coast, Drexel offers much to anyone looking for urban, career-oriented, cooperative education. Its "Co-Op" program allows students to move back and forth between the classroom and the world of work, highly appealing to those in this generation—and their parents—who want workplace experience, an enhanced resume, job prospects, and even real money while still an undergraduate. The location of its main campus in “University City” in Philadelphia has University of the Sciences and Ivy League-member University of Pennsylvania as neighbors. Describe the type of student who should not attend Drexel University and explain why. Describe the type of student who should attend Drexel University. Why? What is a typical Drexel University student like? Describe the type of person that should attend Drexel University. Someone who is career oriented, and focused on their desires and vision for their future. It is hard to attend a school that is academically focused, if you aren't. What are the top 3 reasons someone should attend Drexel University? 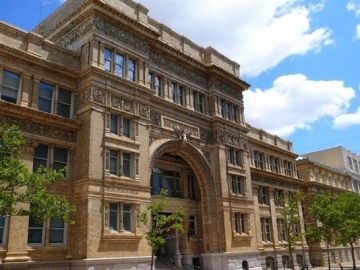 Drexel has a history of providing quality education to its students. It has a prestigious reputation among employers throughout the United States, and it provides coursework that is both challenging and rewarding to its students. What was a typical Drexel University student like in high school? Describe the type of person that should attend Drexel University. Founded in 1891 in Philadelphia, Drexel is a top-ranked, comprehensive university recognized for its focus on experiential learning through co-operative education, its commitment to cutting-edge academic technology and its growing enterprise of use-inspired research. With more than 23,500 students, Drexel is the nation's 14th largest private university and ranked sixth among national universities in the most recent U.S. News & World Report list of "Up-and-Comers." What are the top 3 things that students do for fun at Drexel University? Any instructional program in dance not listed above. 65% of students graduated in the top quarter of their class. The average student pays $36,049 for tuition, fees, and other expenses, after grants and scholarships. Total stated tuition is $35,135, in-state and on-campus, before financial aid. Learn more about financial aid at http://www.drexel.edu/financialaid/. Estimate the net price for you at http://www.drexel.edu/provost/policies/heoa/. The typical (median) early career salary of Drexel University graduates is $52,800, according to Payscale. Drexel University participates in the NCAA Division I-AAA for college athletics. Want more info about Drexel University? Get free advice from education experts and Noodle community members. What was your experience at Drexel University?